A government official has urged youths to cherish study and learn to unlock the hidden educative meanings artworks covey. Provincial Youth Coordinator with the Ministry of Youth, Land and Economic Empowerment Mrs Theresa Mupanduki made these remarks during monthly Shaurai Session held at Mutare National Arts Gallery recently in the eastern border city. Addressing an ensemble gathering, Mupanduki said people should not be shy about who they are. "We cannot be a people without the past. We should be proud of who we are as a people. We should study and get educated by these artworks," she said. She said the ministry is willing to support the gallery in the preservation and maintenance of artworks. "I urge you to keep fighting for the preservation and maintenances of artworks and we as the ministry we would like to pledge our full support," said Mupanduki. 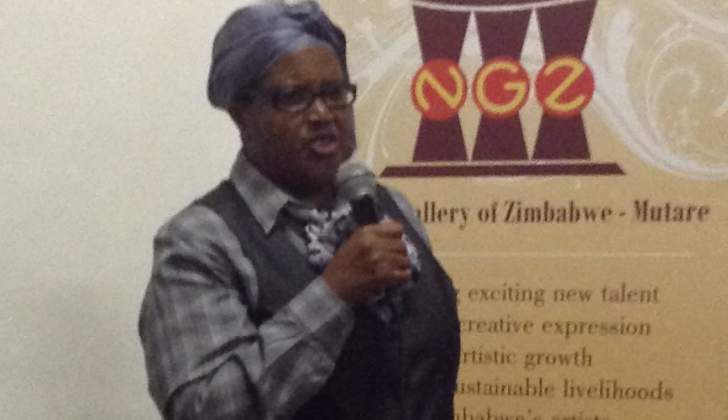 Speaking at the same gathering Mutare National Arts Gallery Director Ms Muusha said they have observed that top buyers of artworks are whites and other foreigners. "We create and export artworks and non-indigenous Zimbabweans are buyers. We want us to buy our own products and appreciate them. Art goes beyond the surface meaning, actually there is a feeling," she said. Shaurai is a platform which promotes art in and around Mutare. This month's Shaurai was running under the theme "Yesterday, Today and Tomorrow".